Yeah! Now check your email to confirm your subscription. 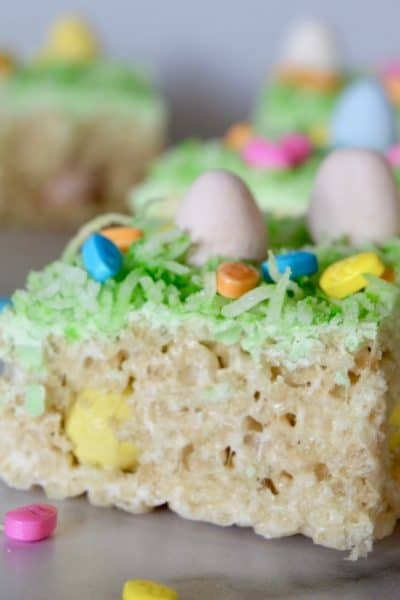 Make-Ahead Recipes & Simple Party Planning. 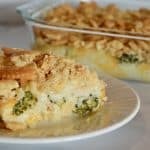 The ultimate comfort food recipe: Chicken Broccoli Rice Ritz Casserole a super easy to make dish topped with crushed Ritz Crackers. 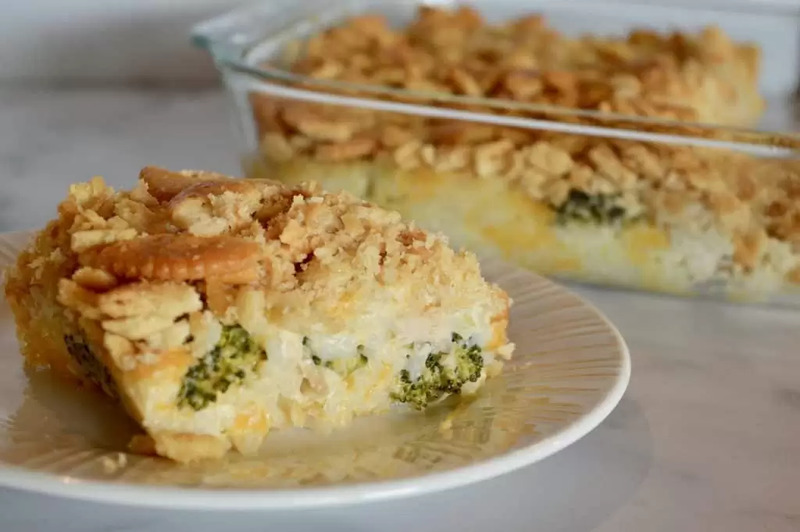 Cheesy and satisfying, this family favorite casserole is so simple to make ahead for busy weeknight dinner prep. 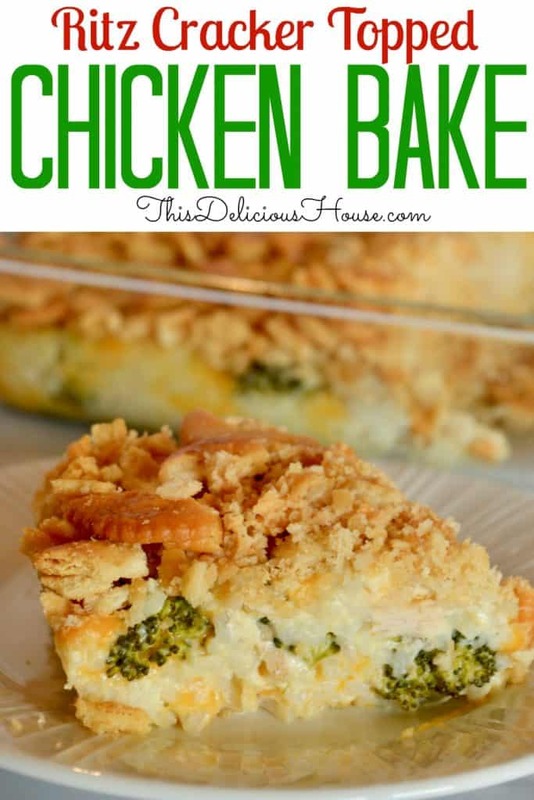 If you are craving something cheesy and satisfying, this recipe is it! 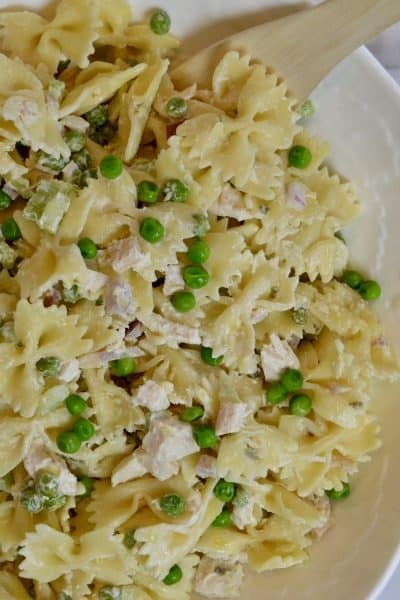 Creamy and cheesy with a buttery crunch, it doesn’t get more comfort food delicious than this recipe. Let’s just get something straight, this dish is all about comfort. No, this is not gourmet fine dining. It is about taking simple shortcut ingredients and creating something warming that the whole family will love. So open up a good ole fashioned can of Campbell’s Cream of Chicken soup and some sleeves of Ritz Crackers and behold the magic that happens when you take a helping hand from these classic pantry staples. There are a lot of components to the name of this dish, but that’s because it includes nearly every ingredient that’s in it! This is a simple one dish dinner that has a veggie, grain, protein, and dairy in it, so you’re good to go. 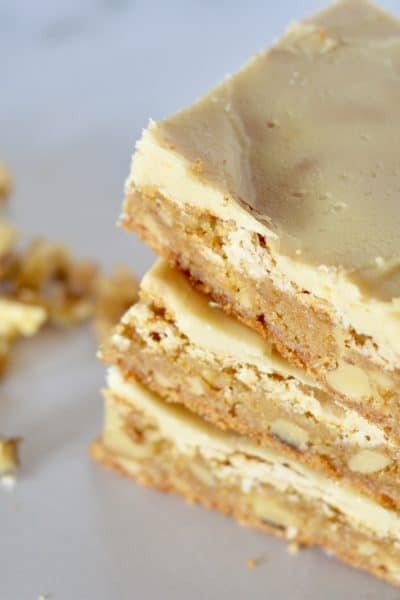 Plus this recipe is very forgiving, so use what you have and make substitutions as you like. Rotisserie Chicken is great because you can just dice and add it right in. You can boil your chicken breasts until just cooked through. Baked chicken or sautéed on the stove would be delicious too. You will need about three cups of diced chicken so two breasts usually work. The measurement doesn’t have to be exact either. With the rice, you can use brown rice, white rice, quinoa, or any cooked grain you like. I used white because that’s what I had on hand. If you need to make from scratch, just boil two cups of water and add one cup of grain and cook to al dente. This should yield you about three cups total of rice. 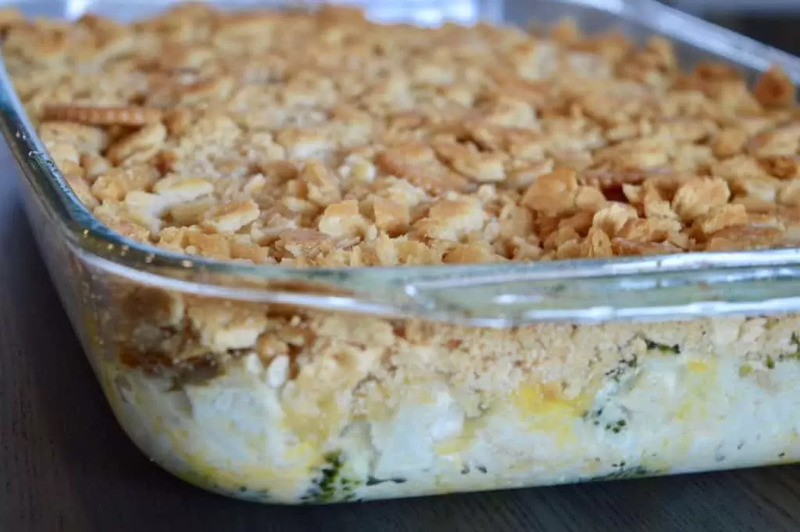 Lastly, lightly crush two sleeves of Ritz Crackers and sprinkle them overtop of the casserole. You can even get your little ones to help with this step! To really put this dish over the top, drizzle melted butter over the Ritz crackers before sending this in the oven. Bake for 35-40 minutes until bubbly and golden. So warming and tasty, I hope you enjoy this recipe as much as I do! 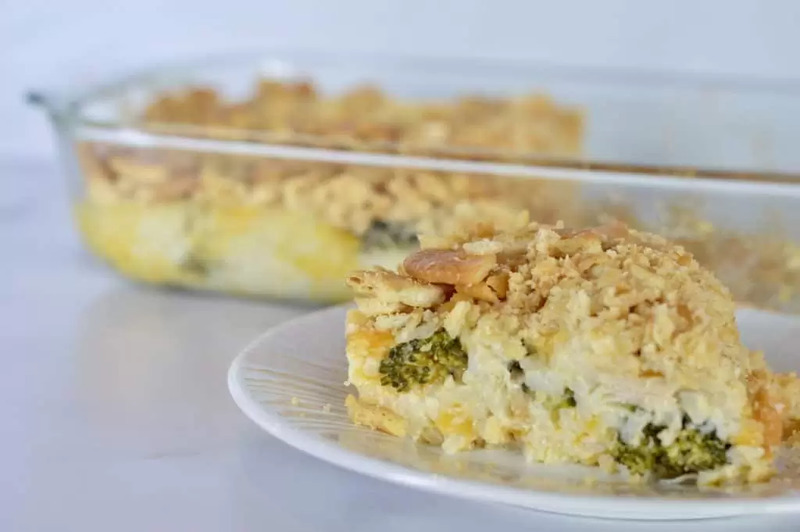 For another delicious and comforting make-ahead casserole, be sure to try Baked Chicken Broccoli Alfredo or Cream Cheese Chicken Enchiladas. The ultimate comfort food! 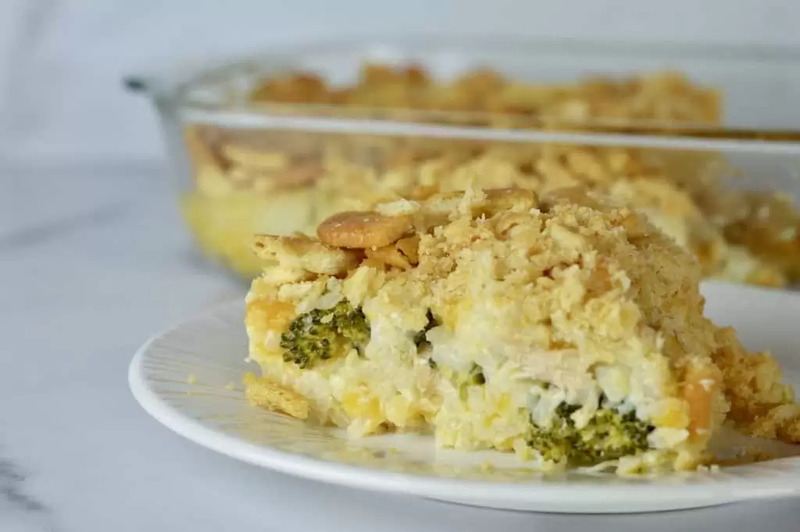 This cheesy Chicken Broccoli Rice casserole is topped with crunchy Ritz Crackers for a taste that just can’t be beat. Preheat oven to 350 degrees. Spray a casserole dish or 9 x 13 baking dish with cooking spray. Set aside. In a large bowl, toss together the cooked chicken, onion powder, garlic powder, and salt. 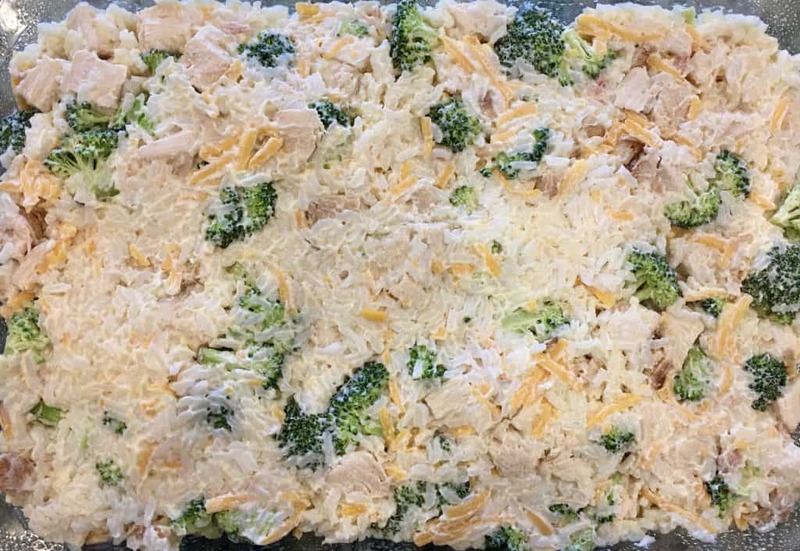 Mix in the broccoli, white rice, soup, sour cream, and cheddar cheese. Pour the mixture into the baking dish. 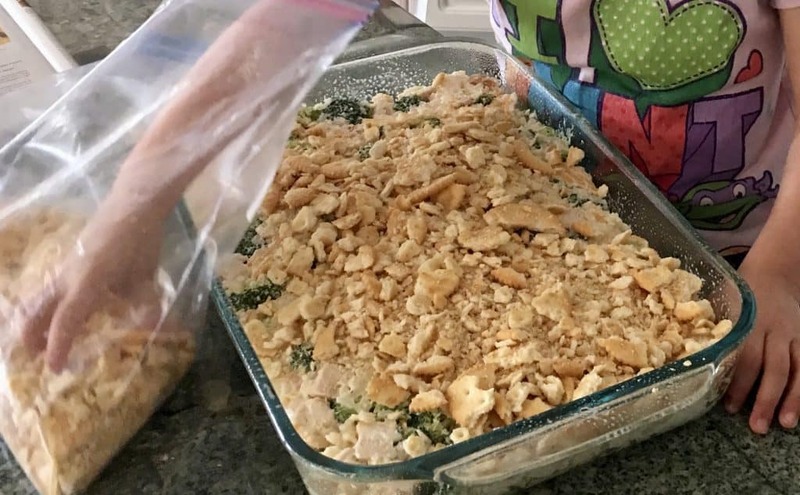 Sprinkle the crushed Ritz Crackers overtop of the chicken mixture. Pour the melted butter over the crackers. Bake, uncovered, for 35-40 minutes, until casserole is bubbly. If it starts to brown too quickly, place foil overtop. Let cool for 5 minutes before serving. 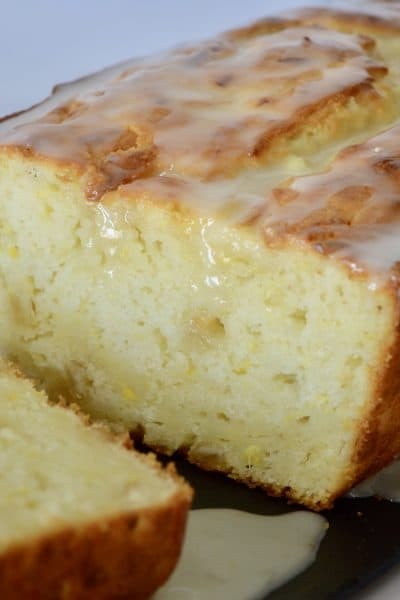 This entire dish can be made ahead and baked prior to serving. Also makes for delicious leftovers. *For the chicken you could substitute cubed rotisserie chicken. To cook the chicken, you can either boil, bake, or grill until just cooked through. For the white rice, simple bring two cups of water to a boil and add in one cup of white rice. Simmer until al dente. This should yield three cups cooked rice. 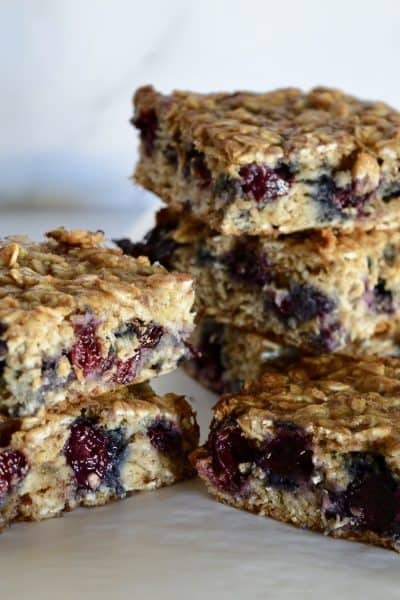 Love Easy Recipes? Me Too! 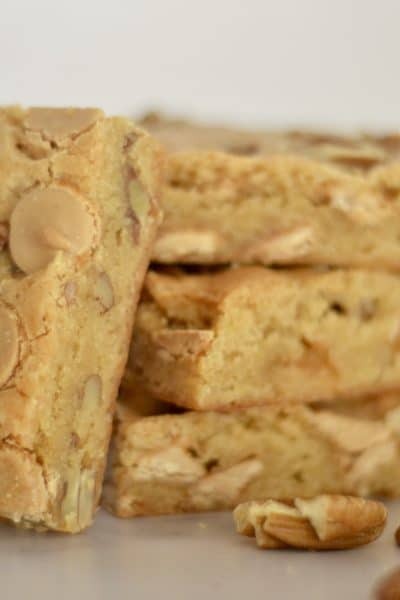 Sign up Now and Never Miss a Simple and Delicious Recipe! Hi there, I’m Angela. I’m a wife, mother of three, and lover of simple and delicious make-ahead food. My recipes use easy to find ingredients, are simple to make, include make-ahead instructions, and are always delicious! 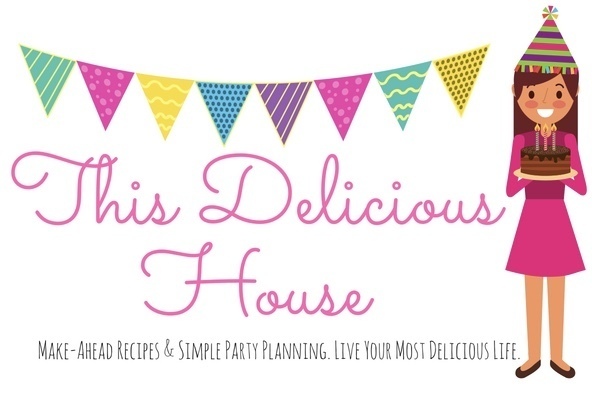 Sign up for my newsletter and get weekly make-ahead recipes & meals, party planning ideas, simple shopping guides, and much more… so you can enjoy hosting fun get togethers and living your most delicious life! 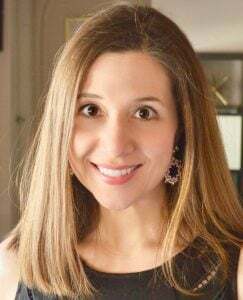 Read more about me! This Delicious House.